Remix our routine at Sephora! Put a fresh spin on your beauty bag with two new to you samples! 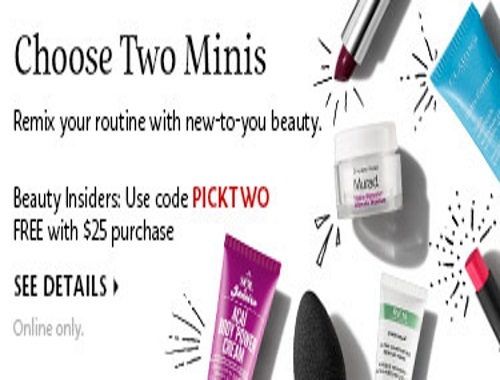 Beauty Insiders can choose two free deluxe samples with any online purchase of $25 or more. Enter the promo code PICKTWO at checkout. Offer while supplies last, limited quantities available. Click here to browse Sephora.